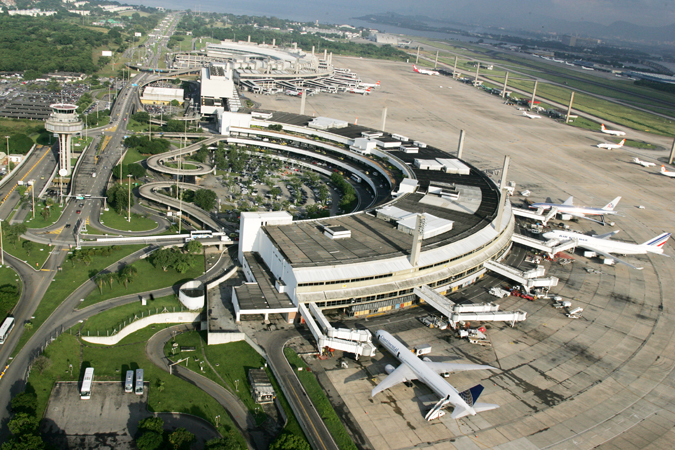 Rio’s current international airport was once one of the largest and most important in Latin America when it opened in January 1977 and added a second terminal at the end of the 1990s. It fell out of favour during the late 1990s as more direct international services moved to São Paulo, but now under new ownership (Odebrecht TransPort and Changi Airports International), it is bouncing back and is on its way to being one of the world’s best and most user friendly, handling over 16 million passengers each year. It is the largest airport by area in Brazil with the country’s longest runway, and the second largest international airport in Brazil and the fourth largest in terms of cargo. On arrival at Rio’s Galeão Airport you will most likely disembark through one of the airport’s passenger bridges on the second floor. Your first port of call is immigration where, as a non-Brazilian passport holder, your passport, visa and any other immigration formalities will be checked. Make sure that you do get your passport stamped. On occasions visitors have missed getting their passport stamped and this has been known to cause problems and not a little heartache and a few tears for the departing passenger. Past immigration you descend into the baggage claim area on the first floor where the Duty Free stores are also located. Rio is one of the few airports in the world to offer duty free goods on arrival and you will be allowed, on presentation of your passport and ticket, to currently purchase up to US$500 worth of duty free products which can include 24 units of alcohol, 200 cigarettes and 25 cigars and 250g of tobacco, 10 toiletry items including cosmetics and three of the following: watches, toys, games or electronic items.The shop staff is bilingual and will help with any questions. Visitors to Brazil over 18 years of age arriving by air have the right to bring in articles up to the value of $500 not bought in the duty free shop, although the limit is two liters of alcoholic beverages. Prohibited imports include toy, replica and imitation firearms, illegal drugs, cigarettes and drinks manufactured in Brazil intended for sale abroad, unlicensed wildlife species, and counterfeit and pirated goods. Customs formalities are quite strict in Brazil and customs officials normally inspect the baggage of a number of incoming passengers. Customs, however, are not generally interested in foreign visitors so unless you are carrying something very strange you should have no problems. Customs are strictest on electronic equipment or anything linked with computers, especially if they think you are bringing them in to sell or to be passed on to a resident Brazilian. If you do have any problem, leave the item(s) with the customs official – make sure you get a receipt – and collect them when you leave. A genuine visitor should have nothing to worry about. The airports in Brazil operate a Green and Red channel system for customs clearance with the difference being that if you choose the Green Channel you may be challenged. Once you have negotiated customs, you have arrived. Welcome to Brazil. Beyond the doors of the baggage hall you will find the normal chaos synonymous with international airports. Hundreds of people will be waiting to meet friends and relatives, tour guides will be frantically looking for their tour groups, and the porters will be trying to get you taxis, change your money, in fact do anything that avoids them actually having to carry a bag. At least trolleys are normally plentiful in Rio, and free. After leaving the relative sanctuary of the customs hall and duty free stores you will see a balcony representing the main radio taxi companies. The joy of these taxis is that you pay the fare before leaving the airport and this is posted on a board above the taxi company’s desk. You do not run any risk of being taken for a lengthy ride or any of the other tricks that normally greet foreign visitors at airports. If you speak Portuguese you can take the white Radio Taxis outside and pay what is on the meter. This can be a false saving, however, because if you catch the morning rush hour, when journey time will be closer to one hour rather than the norm, which is about 30 to 40 minutes, you may end up paying more. The main radio taxi companies are Cootramo (tel: 21 3976-9944), Coopertramo (tel: 21 2209-9292),and Transcootur (tel: 21 2590-2220). Given how quickly the airport is changing and improving it is worth checking the official guide to the airport. 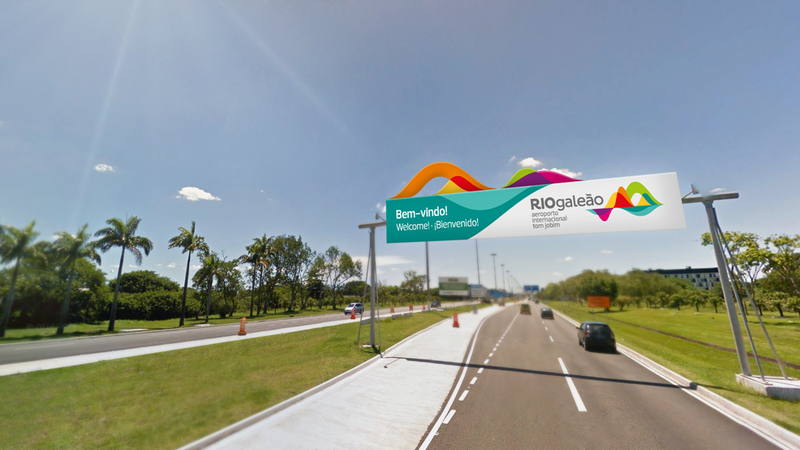 Getting into Rio from the airport is relatively simple even if you don’t take a taxi. An executive airport bus (2101 / 2145) links the international airport with Santos Dumont Airport in downtown Rio, 20 kms away, or you can take a similar bus (2018 / 2918) that passes all the main oceanfront hotels in Copacabana, Ipanema and São Conrado. 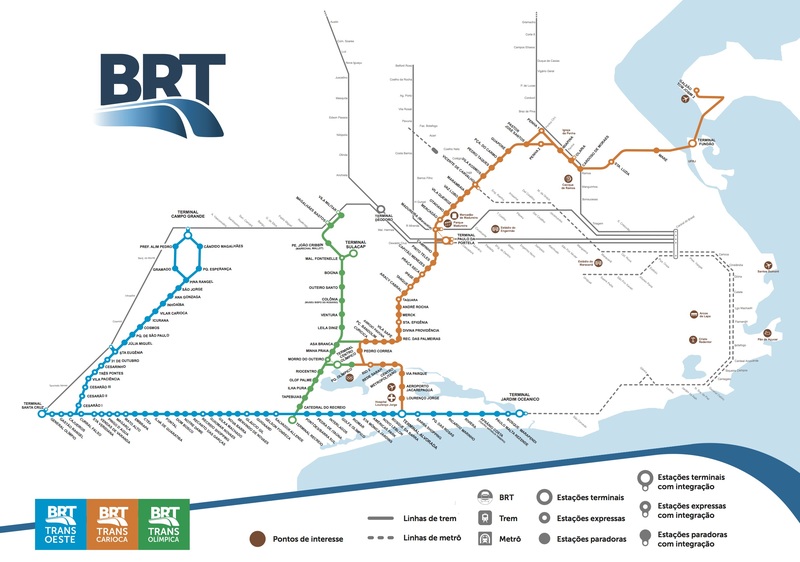 There is also a new rapid bus link, TransCarioca Expressa, or BRT (Bus Rapid Transit) between the airport and Terminal Alvorada in Barra da Tijuca. This also passes and links to the Rio Metro service at Vicente de Carvalho Station. 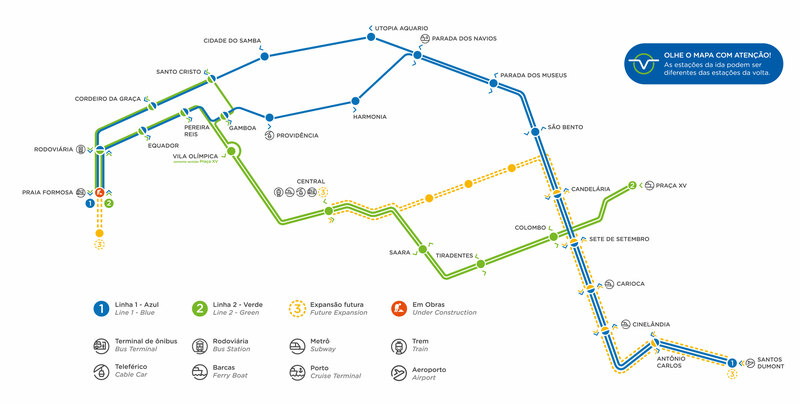 With the metro it is possible to travel all the way in to Copacabana or Ipanema and on to São Conrado and Barra. As at all airports try to stay alert. People know that you have probably just come off an overnight flight and are tired, and tired people make mistakes like leaving baggage unattended or showing, unwittingly, where their money is. If you do not have a hotel reservation or need any other information go to the Riotur or TurisRio desks that are operated by the city and state tourism authorities. These are not commercial concerns, so they will provide the best and safest information. Avoid the other counters that try to pass themselves off as official looking bodies. The only relevant ones should be Riotur (City of Rio Tourist Board), Rio Convention & Visitors Bureau, TurisRio (State of Rio Tourist Board), and Embratur (Brazilian Tourist Board), or the information desks operated by the airport. Of the airport’s four levels you will be on the first floor with only the car park below. Above are the departure areas and shops. Do not be put off by the fairly unattractive drive into the city from the airport. The only other time that you will be back in this part of town is when you return to the airport or are driving off to visit Petrópolis or Teresópolis. If you are flying on to another destination within Brazil you will either transfer directly within the airport or you will have to go to the departure desks on the second level and re-check in your bags. Recomended minimum connecting time are 100 minutes for international to domestic; 60 minutes from domestic to international; 45 minutes for international to international; and 30 minutes for domestic to domestic. Worth noting that there is a hotel airside at Galeão, close to the VIP lounges. Aerotel can be a good option if you arrive late and fly out early. There is also a larger airport, Linx, located landside, and close (500m) to the terminal buildings with free transfers offered. 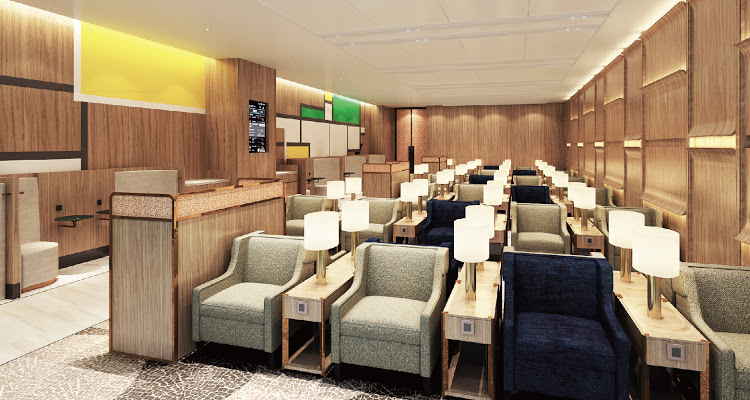 There is also a Premium Lounge landside on arrival equipped with shower rooms, Private Relaxation Suites, VIP room and meeting rooms. Ideal for travelers, who need a power nap or catch up some work while waiting for their next flights or recovering from their overnight flight and killing time before their hotel is ready for them. The company also operates lounges in the international and domestic departure areas that can also be booked in advance. Airlines using Galeão include: Aerolineas Argentinas, Air Canada, Air France, Alitalia, American Airlines, Avianca, Azul, British Airways, Condor, Copa Airlines, Delta Airlines, Edelweiss, Emirates, Flyways, Gol, Iberia, KLM, Latam, Lufthansa, Passaredo, Royal Air Maroc, TAAG, TAP, and United Airlines. 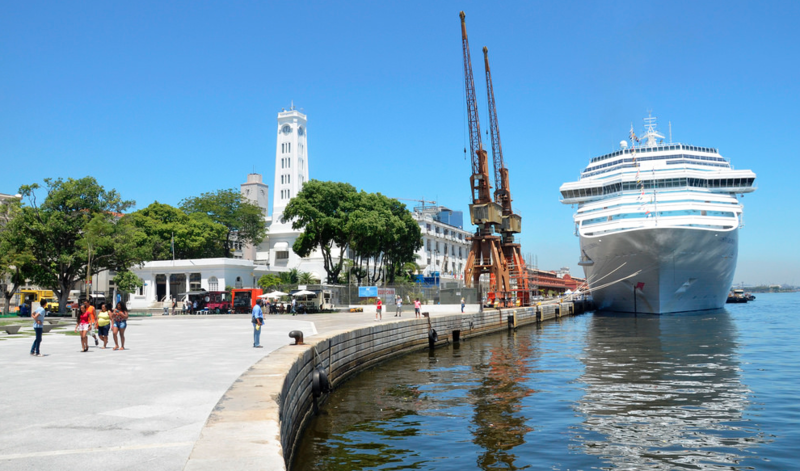 If you are one of the few people to arrive in Rio by sea – possibly during carnival – your ship will dock at a berth close to the new Praça Mauá on Pier Mauá, at the top end of Avenida Rio Branco in downtown Rio. The facilities are adequate, but have improved greatly since the Olympic games. Your entry to the docks, or to Brazil, will be through the Touring Club do Brasil’s building. The docks, part of the Olympic Boulevard, are quite safe during the day and are home to a number of events and the outstanding Museu de Arte do Rio and Museu do Amanha. The whole area is being totally redeveloped under the ambitious Porto Maravilha (Wonderful Port) project. If your ship is of a reasonable size you will find a line of cabs, guides, and jewelry salesmen waiting to show you the joys of Rio. If you want to avoid this friendly group of people, you can walk away from the dock gates, down to Avenida Rio Branco, where there will be a plentiful supply of cabs or even the entrace to the metro. Should you take a cab away from the city center make sure you have an idea of where you want to go. Give the cab driver the name of a location and it will appear that you have been in Rio before. For Copacabana ask for the Copacabana Palace Hotel, which is centrally located. For Ipanema you can do no better than to ask for the Sofitel Caesar Park Hotel. 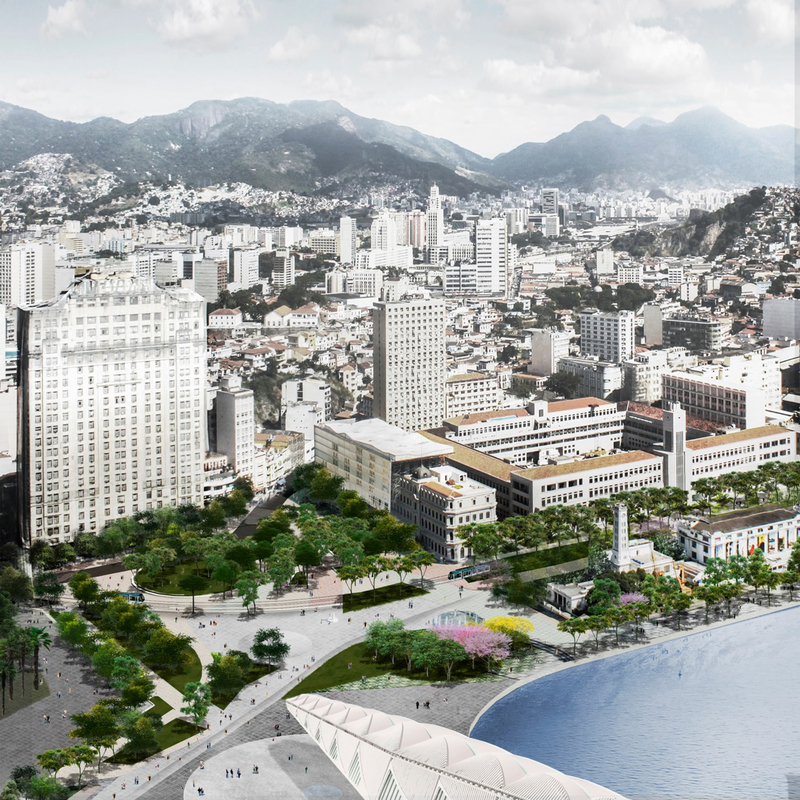 If shopping is a priority, ask for Rio Sul, one of Rio’s largest shopping malls and the nearest to the port. On the return trip, simply ask for Praça Mauá. There is also the option of taking the new tram or Rio Light Rail (VLT Carioca) that was inaugurated for the Olympics. There are two stop close to the port (Parada dos Navios / Parada dos Museus). The tram runs up through the heart of Centro to the Santos Dumont Airport. The nearest metro station to Praça Mauá is Uruguaiana, a 10 minute walk away, but the trams stop next to both Carioca and Cinelandia metro stations.